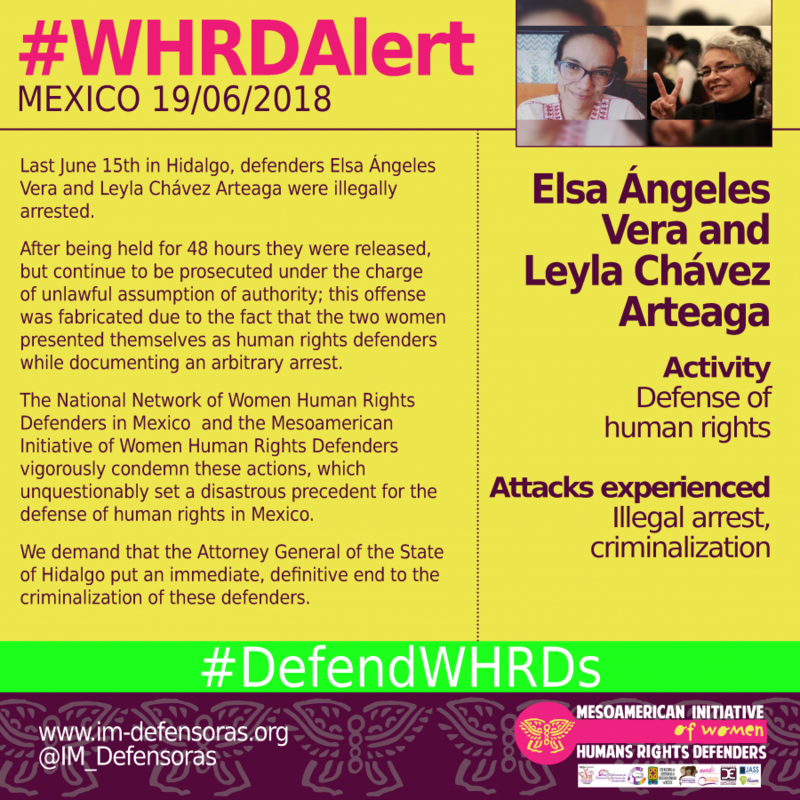 THE FACTS – Last June 15th in Hidalgo, defenders Elsa Ángeles Vera and Leyla Chávez Arteaga were illegally arrested. After being held for 48 hours they were released, but continue to be prosecuted under the charge of unlawful assumption of authority; this offense was fabricated due to the fact that the two women presented themselves as human rights defenders while documenting an arbitrary arrest. 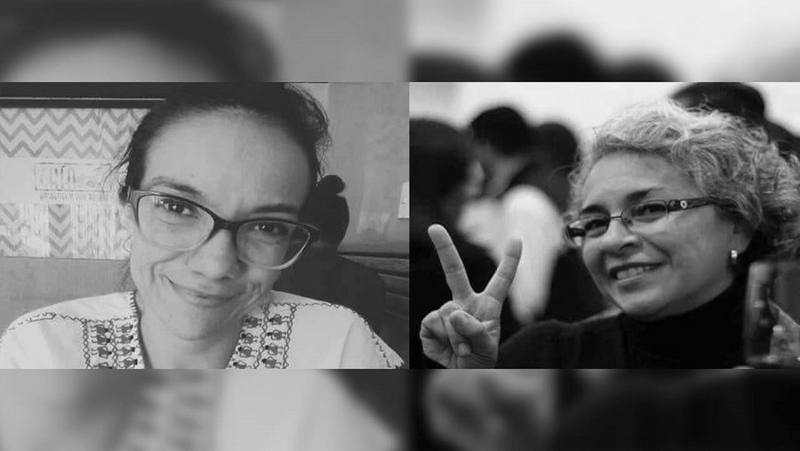 The National Network of Women Human Rights Defenders in Mexico and the Mesoamerican Initiative of Women Human Rights Defenders vigorously condemn these actions, which unquestionably set a disastrous precedent for the defense of human rights in Mexico. We demand that the Attorney General of the State of Hidalgo put an immediate, definitive end to the criminalization of these defenders.